Sympathy Roses When family or friends are grieving the loss of someone special, sending condolence roses can help ease the pain and show some hope. 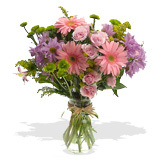 Sending condolence flowers is a positive gesture and lets family and friends know that you are thinking of them during this particularly difficult time. A condolence rose flower arrangement is the most appropriate way to share sympathy during difficult times, we have different designs in many different prices so let us at FlowerFresh help you convey your condolences.